Almost all men have shaved at one point in their life. Some men even shave every day. Even if you don’t shave every day, it’s important to know how to shave properly. While getting a professional shave from a barber may be pleasant, it is expensive and unnecessary if you follow some simple tips. The first step to any shave is making sure you have the right tools. A razor is the most important tool of all. Razors come in five main categories: straight, safety, cartridge, disposable, and electric. Finding out which razor is right for you takes much into consideration, including skin type, convenience, skill, and more. Whatever razor you choose, the most important part is keeping it very chart. The oldest known razor in the world is the straight razor. 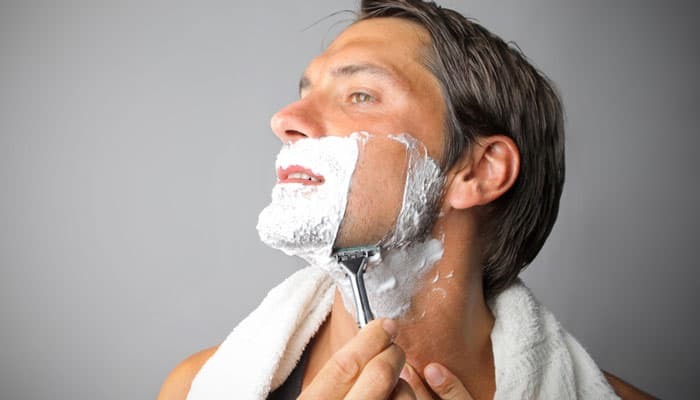 Men have been shaving with straight razors since shaving began. However, a straight razor is also the most dangerous razor and, unless you have the proper skills, you can seriously hurt yourself. A straight razor does have the advantage of not needing replacement blades as you can sharpen it yourself. The safety razor is similar to the straight razor, but, as the name implies, was marketed as a safer razor than the straight. It uses a single replaceable razor blade held in a curved head. When shaving, you use this head to determine the right angle to shave. It requires less skill than a straight razor, but still more than a cartridge razor. The most common razor men use to shave is the cartridge razor. These have a reusable handle with replaceable blade heads. Cartridge razors are great for convenience or unskilled shavers. The downside is the blades are expensive and need replacing every five shaves, sometimes every two if your skin is sensitive. Cartridge razors are typically multi-blade to pull the hair out then cut it with the blades behind. While this gives you a close shave, it could mean more razor burn and ingrown hairs too. Disposable razors are like the cartridge razor except for usually much lower quality and fewer blades. Disposable razors are perfect for moments of traveling, forgetful visiting friends, or any one time uses. If you need an everyday razor, save your money and your face and purchase something better quality. The electric razor is also very convenient. 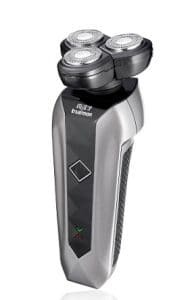 However, you usually won’t get as close of a shave with an electric as a non-electric. Electric works to pull hairs into moving blades and keeps you from cutting yourself. One disadvantage is their price and if their electric parts stop working, the whole thing is useless. Shaving cream is the next important investment from a sharp razor. Shaving cream has several uses when using it to shave. First and foremost, it softens facial hair and lubricates the skin. When shaving properly, you want your hair soft and razor sharp. This keeps hair from snagging and skin from irritation. Shaving cream also raises the hair on your face. When you shave, it’s important for you to get your hair as far away from your skin as possible. This gives you a cleaner, closer shave. Shaving cream and a shaving brush to apply the cream can do this for you. Lastly, shaving cream moisturizes the skin on your face to keep skin healthy and reduce irritation. When buying a shaving cream, it’s important to understand what type of skin you have. Dry skin needs more moisturizing and lubricating so choosing a cream with a glycerin base is best. Dry skin and sensitive skin may need a soothing agent like aloe or Vitamin E. Oily skin should choose a cream with a mild astringent to reduce oils and lessen clogging of the razor. Experts also recommend choosing a shaving cream which is creamier rather than foamy. A gel or cream type shaving cream works better to soften and lubricate. Creams and gels will also moisturize your skin better. Foam may look fun and be enjoyable to play with as a kid pretending to shave, but proper shavers know cream is better. You should also stay away from shaving creams with alcohol as they dehydrate the skin. Razors and shaving cream aren’t the only important tools for shaving. You should also consider purchasing a shave brush, aftershave, face wash, and an alum block. While you don’t have to have them to shave, they can turn an okay shave into a great, professional looking shave. A shaving brush is the next best friend of a shaving man. 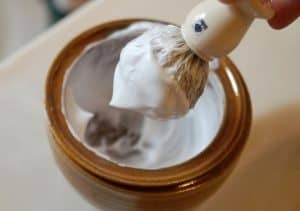 While shaving cream is helpful, using your hands to apply it doesn’t properly get the best benefits out of your shaving cream. If you feel like your shaving cream isn’t working despite being a good cream, it may be that it needs applying with a brush. A brush works the cream into a rich lather and spreads it evenly across your beard, raising your hair away from your face. It also exfoliates your skin which reduces the risk of razor bumps, burns and ingrown hairs. Brushes come in all types from horses hair to badgers to synthetic. You want a brush that’s stiff enough to raise hair and soft enough to lather the cream. Experts claim badgers hair makes the best brush. Aftershave is another important tool for shaving. When you finish shaving, you have shaved off at least two layers of skin, leaving your face open to dry out and irritate. Aftershave soothes your skin and moisturizes your face. It can also help close pores and give your face a fresh look. Some of us enjoy the different scents of aftershave and a light burn which wakes you up. Face wash is good for keeping your skin clean and free of irritations. Washing your face after you shave can help keep rashes away, especially with a face was that has tea tree oil or witch hazel. People with acne should choose a face was that removes oils and treats acne. One of the best unusual shaving products is an alum block. When you shave, you don’t always know the tiny nicks or too close shaves you have. The issue becomes when dirt or other bacteria get into those nooks and crannies and cause infections. Infections cause rashes, bumps, and ingrown hairs. Alum is a natural disinfectant and antiseptic. It tightens pores and closes nicks. Before you shave, it’s important to take care of your face in a way that softens hair and readies your skin. A great way to do this is take a shower. Warm water and steam opens pores and softens your facial hair. During your shower, you should also consider soaking your razor in hot water to loosen any previous hair or cream build up. You want a sharp and clean razor. Afterward, wash your rinse your face with warm water and a pre-shave soap. Doing this removes dead skin and oils which clog and dull your blade. Shaving cream comes next. Never apply shaving cream to a dry face. Using your brush, apply a little shaving cream to your face. You shouldn’t need much so read the directions on your shaving cream. Make sure you cover the entire area you are shaving. A circular motion is good for exfoliating and pushing hair away from skin. Leave the cream on for a minute or two to allow it to soften hair even further. 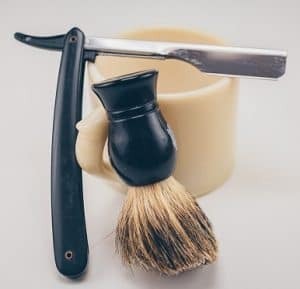 After you have your shaving cream on and your sharp razor ready, you are set to start shaving. It’s best to start from the top down and take it easy, especially if you are a beginner or learning how to use a straight or safety razor. Depending on the thickness of your facial hair, you should shave neck or the lip and chin area last. The thickest hair should have the longest time to soften in shaving cream. Always shave with the grain of your hair, unless you are experienced. Shaving against the grain is a sure way to make your face more susceptible to cuts and ingrown hairs. Instead of shaving against the grain, re-lather and shave your face again. If you must shave against the grain, take it slow with short gliding swipes. Stop if hair starts snagging. Here’s a great hair grain chart for your neck area. When shaving your face properly, use short strokes. A short stroke should only be one or two inches at the most. After each stroke, you should rinse out your razor thoroughly so it doesn’t clog with hair and shaving cream. Be careful through places like your neck and lip area as these are sensitive areas that can easily get nicked. Lips usually need a few passes, but make sure you lather again each time. Shave every part of your face with hair going with the grain. Once you have shaved an area, don’t go over it again unless you re-lather it. Dry shaving can cause irritation and razor burns. Be gentle and don’t press the razor to your face too hard. If the razor is adequately sharp enough, it should easily glide down your face. If you have facial blemishes or acne, you may want to try out different types of razors to see what works best for you. With acne, make sure to rinse your blade more because of oil build up. You should also be more gentle with strokes and never ever try to cut acne off. This will make your acne worse. Facial washes and aftershaves can help heal acne as well. Once you are done shaving and reshaving, you have a few key steps to prevent ingrown hairs and razor burn. First, you should rinse with cold water. While warm water opens pores, cold water closes them. This will help seal your face from irritation. You may also want to use a facial wash, especially one with witch hazel or tea tree oil. For men with acne, washing your face with these ingredients will not only reduce inflammation and irritation but clear out oil and reduce your acne. Rinse again with cold water and pat dry with a clean towel. Do not rub your face with the towel as this increases irritation. At this point, you may have a nick or two that is bleeding. Grab your alum block and rub it on there after cleaning off any blood. If you don’t have the alum block you can also use an ice cube, deodorant, mouthwash or even vaseline to stop the bleeding. After sealing up any bleeding nicks, apply your favorite aftershave. After you clean your razor and store it in a dry place, you are finished shaving the proper way. Shaving properly doesn’t have to be only at the barbershop. With the right tools and patient learning, you will have a baby smooth face that all men will envy. 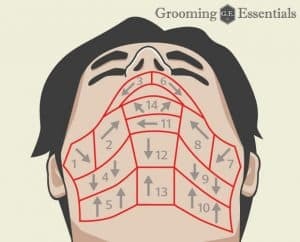 Shaving correctly is a bit different for each person depending on razors, skin type, and hair thickness, but it isn’t difficult to find what works for you.